We help the bride and groom to choose the perfect location for a civil , religious or symbolic ceremony in the Italian Lake district: Lake Como, Lake Maggiore, Lake Orta, Lake Iseo and Franciacorta. Villas, castles and high-class restaurants in the beautiful scenery of Lake Como, the most popular destination for weddings in northern Italy. Lake Orta is the smallest lake and the most romantic and evocative. In addition, there is a good choice for a perfect wedding planning: a civil ceremony by the lake, a boat trip with your guests, beautiful churches , dream villas and excellent food. 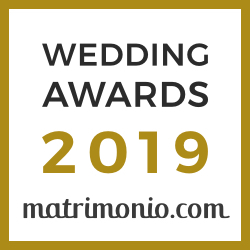 Beautiful places for your wedding dream on Lake Maggiore: fairytale places that overlook the waters of the lake available both for the ceremony and the reception. A new wedding destination is Lake Iseo impressive with its Monteisola. The lake is surrounded by the Franciacorta region where we can organize a a perfect vineyard wedding or a wine tasting.